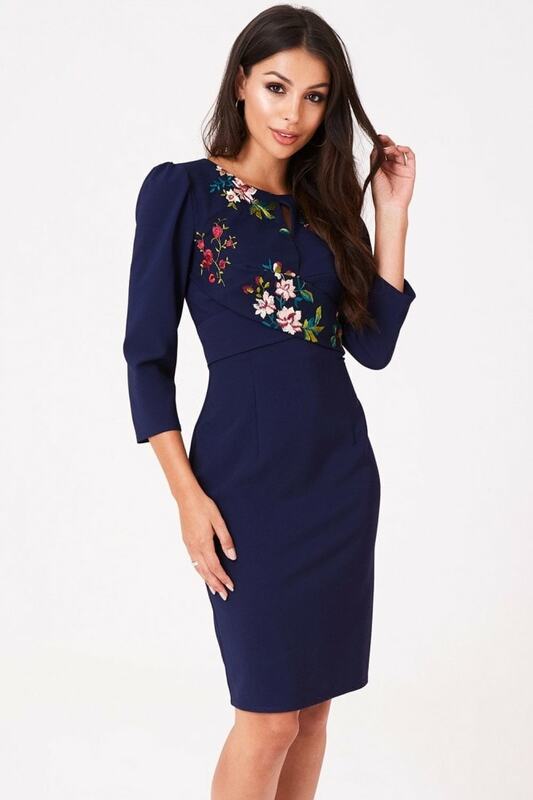 Knee-length pencil dress with floral embroidery crossover front detail and keyhole neckline. 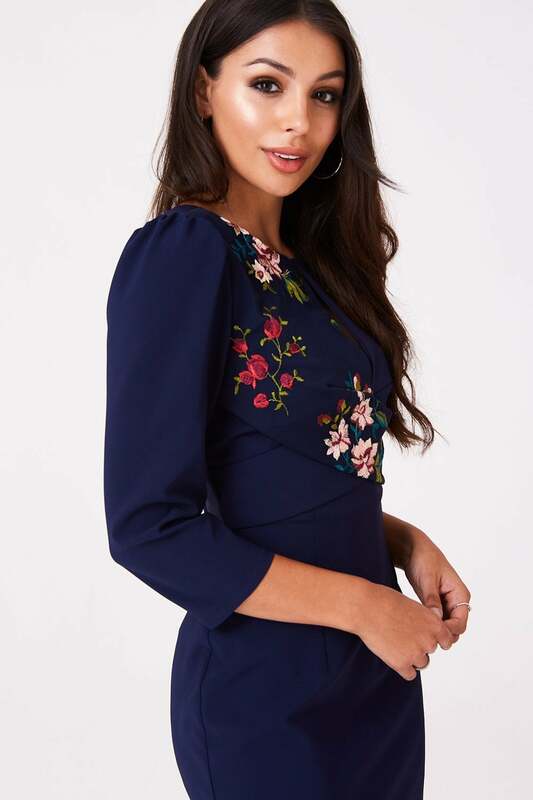 Narrow mid-length sleeves, v-back and split back hem. Zip fastening.